Imagine spending your weekends in a place that combines all the rustic charm of a lakeside camp with some serious amenities. A place that balances the yearning for a simple retreat and the conveniences that keep life simple. Silverock Cove, our premier Smith Lake community, is designed to offer the perfect combination of lakefront nostalgia and modern luxury. Lots at Silverock are tiered to maximize each home’s lake views. Wooden boardwalks keep the community’s natural setting at the forefront, and exterior features — classic peaked roofs, wood siding in earthy colors, and stone accents — fit the lake’s tree root- and boulder-dotted shoreline. But beautifully designed docks and architectural details offer subtle reminders that this is not your average lake living. 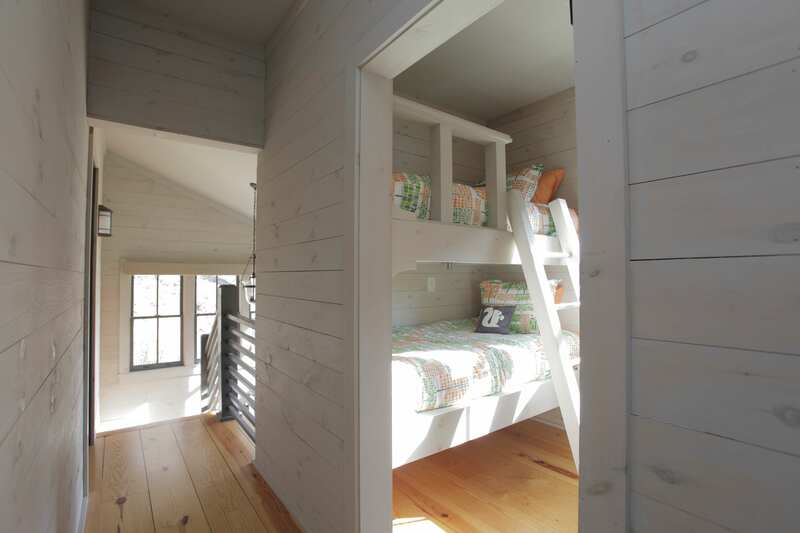 Interiors are bright and open, full of windows, light paint, and natural-toned wood for a modern take on the cabin feel. Kitchens may combine rustic open shelving and classic cabinetry, balancing easy reach staples and neat, closed storage. Details like subway tile and shiplap and simple corbel trim evoke classic American charm, while modern fixtures also fit more contemporary furnishing styles. Of course, no self-respecting lake house would ignore outdoor space. That’s why many Silverock homes include features like outdoor living areas, screened porches, and even built-in grills. Within the community, walking trails abound, and a boat concierge service makes getting out on the water that much easier. There are even two community pools, along with a pool house that’s received an architecture award. 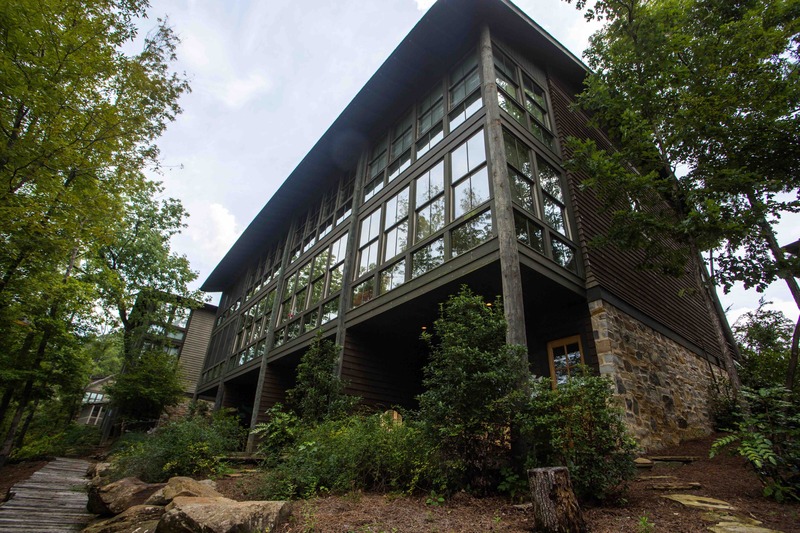 The calming natural setting makes a perfect weekend home for folks from Birmingham and Huntsville, as well as surrounding Southeastern states. With 110 homes in the $350,000-750,000 range, why not make it your family getaway too?